Fine Motor Skills are most often associated with the small muscles in the fingers, hands, and forearms. However, the development of other parts of the body, such as the upper extremities, can also play a role in fostering good coordination and accuracy. Building upper body strength is not only critical to good body posture but is also critical to all aspects of academics. Deficits in shoulder strength, stability, and trunk control can affect fine motor function, such as limiting handwriting capabilities. Because the brain is single-minded, if it is focused on thinking about how to form letters when writing, then it will not be able to focus on the content. Thus, the child’s learning will be compromised. To help prevent this, building upper body strength and practicing handwriting are both recommended. 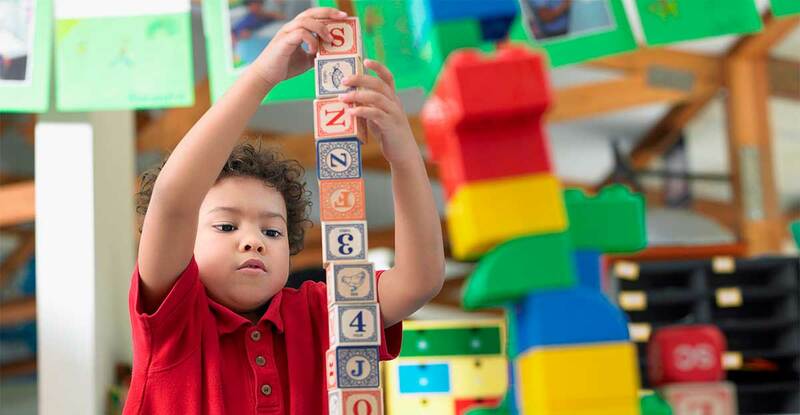 Stacking toys and blocks are great for developing fine motor skills in babies and toddlers. From Learning Resources (available at Amazon) is a Helping Hands Fine Motor Tool Set. Ideal for ages over 3, it includes grabber tweezers, scoopers, droppers and squeezy tweezers. Use safety scissors and paper to practice cutting. Don’t forget lacing cards and block puzzles for practicing fine motor. Yes, it’s messy, but Play-Doh is the classic way to strengthen the muscles in the fingers and to improve fine motor skills. Squish it, squeeze it, roll snakes, make balls! Wikki Stix are also awesome! They can be molded into any shape, don’t dry up, are reusable, and there’s no mess to clean up! Gives fingers a workout! Use a bucket of water and paint the side of the house to get strength proximally in the shoulder girdle, which will help develop fine motor capabilities. Work on carrying a laundry basket and gradually making it more weighted, which helps with pectoral muscles and strengthening around boys and deltoids. “Play” wheelbarrow and do modified pushups against the wall to play. Shake, bang, reach and hold rattles. Pop or catch bubbles. To strengthen hands use a spray bottle to squirt colored water on plants, use hole punch, cut cardboard, mix ingredients for baking/cooking. To develop the important muscles of the hand and wrist to allow for precise hand control and strength that will be needed for graphomotor skills use tweezers to pick up small objects or cotton balls, pop bubbles on packing sheets, open/close ziplock bags, use wind up, use an eye dropper to make pictures with colored water by dripping drops of water on paper towels, tissue paper, or coffee filters. Use Handwriting Without Tears to help improve writing, self-confidence, pencil grip and body awareness. Often this program is also available in the school. For more information to use this approach at home, go to hwtears.com. Callirobics are a unique concept in handwriting exercises. Set to music that relaxes the participant and adds rhythm to their exercises, the program improves hand-eye coordination, fine motor skills, and handwriting. Each exercise takes about two minutes and should be repeated daily. The program can be purchased at callirobics.com.